Have you guys heard of the sole sisters? Two women who dared to resign from their jobs to travel for 6 months in Asia. Theirs a story that inspired my adventure of late with six of my colleagues in Aurora province. I’m 29 yet to this day my passport remained as spotless as the day I got it. I wasn’t as fortunate as to have the means to travel as often as I wished, and it has always been a subject of great frustration. So when I saw the blog of Lois and Chichi I told myself, “if you really want to travel, why not do something about it?” So I did. 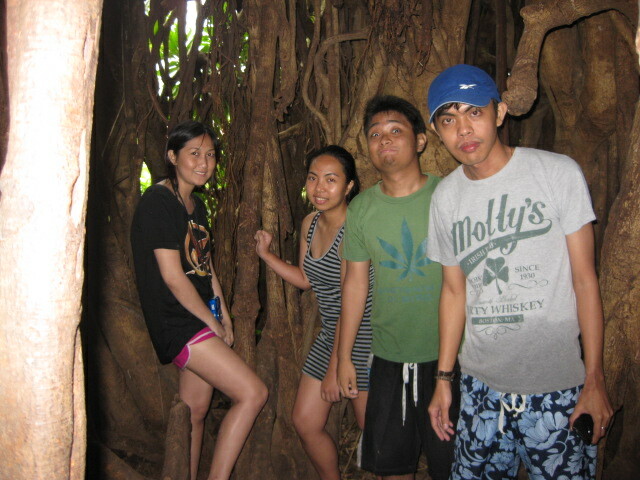 November 22, 2011, I encouraged my office mates to join me in an out-of-town trip. 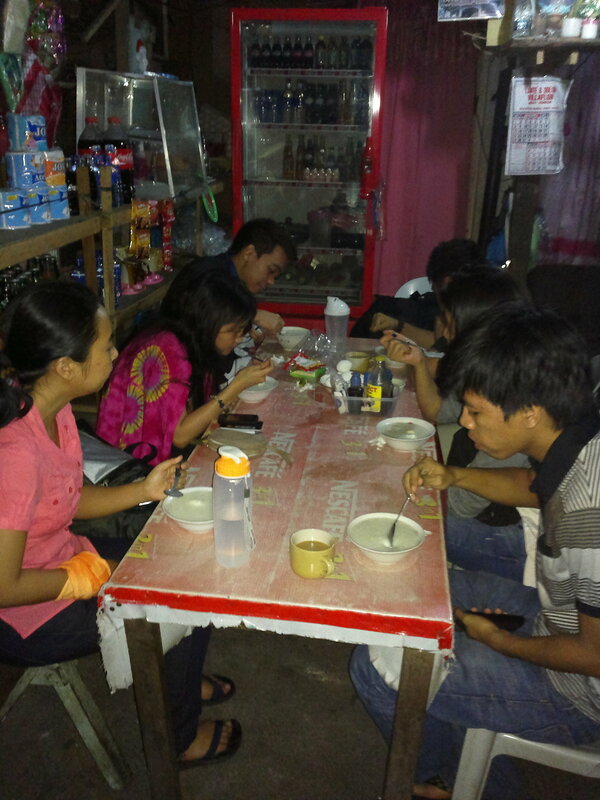 I was able to convince Gerald, Alchris, Rhoda, Athan, and Pao. We were later joined by Boni, a friend of Gerald and Alchris from another department. First thing that we settled was the “where” part. I asked each one to suggest one province that they wanted to go to (strictly local) and among the places considered were Benguet, Baler, Caramoan, Donsol, Pangasinan, and Puerto Galera. We settled it through a vote and agreed to take the trip in January 2012. 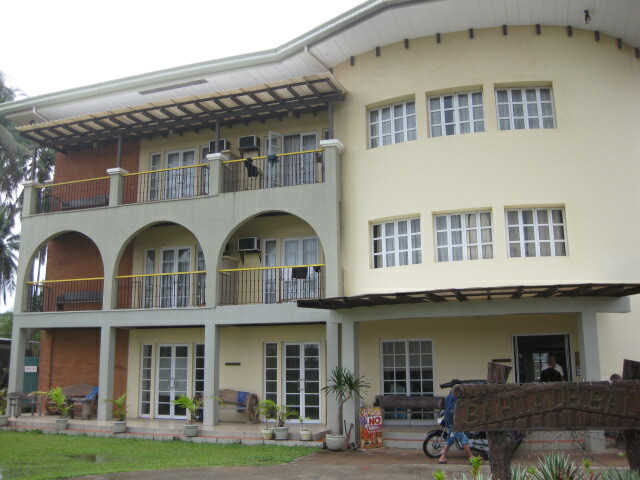 Online research ensued with great consideration to our budget (estimated PHP 4,000/pax). 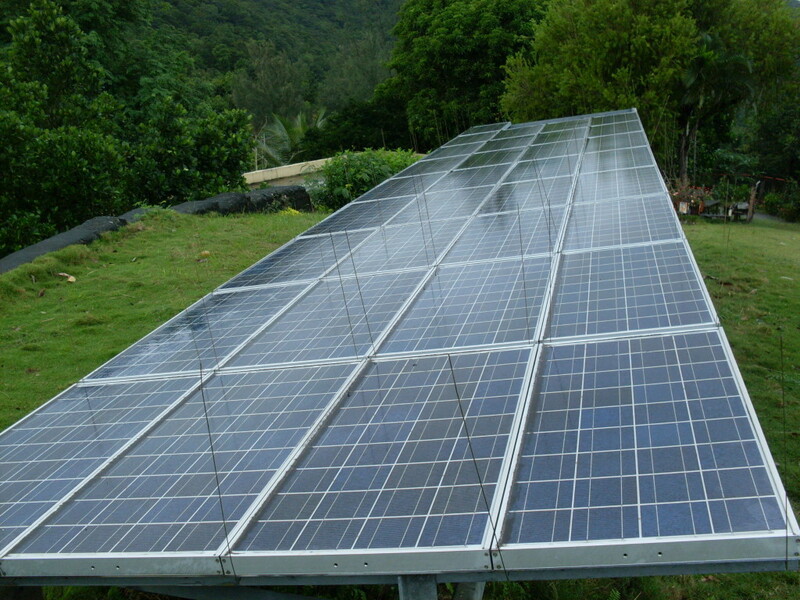 We mostly consulted with do-it-yourself travel guides from different blogs. Gerald, the more experienced traveler among us, planned our itinerary while we had Alchris manage our money. We had three options; first, hiring a private vehicle. We consulted Bart, our officemate who knows someone who can provide the service. He said that it’s PHP 3,000 (USD 60.10) per head, inclusive of accommodation and breakfast. This would have been good, especially the part where we don’t have to worry about the check-in and check-out time, but when we computed our would-be expenses, we were sorry to find that it’d go beyond our budget. 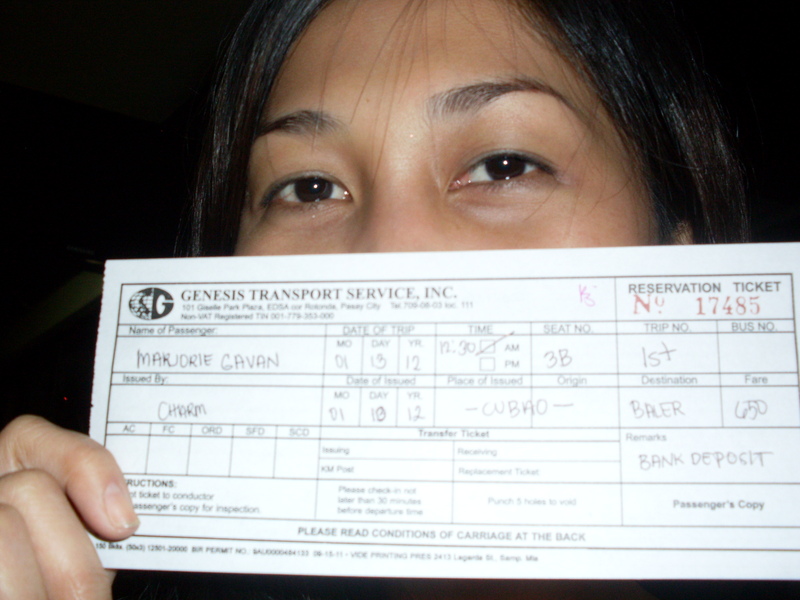 Second choice is to take the regular bus of Genesis, the only bus line that has direct travel to Baler. 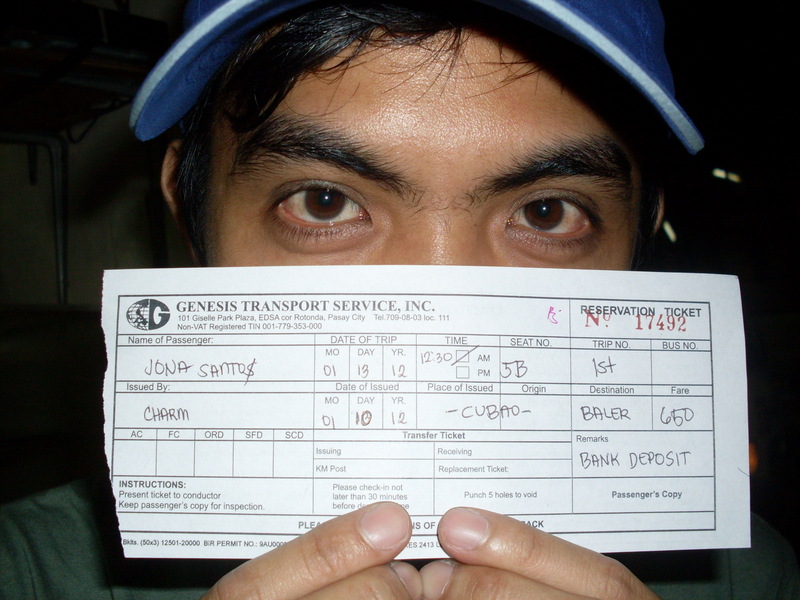 Ticket is worth PHP 450 (USD 9.01) and travel time takes about 8 hours. It’s a lot kinder to our budget but not to our body. Third and what we believed was the best option was taking the executive coach of Genesis, the Joy Bus. For PHP 650 (USD 13.02), it’s a bit expensive but travel time was shorter, about 4 to 5 hours, with no stopovers. You may check the schedule of trips in their website here. We left Makati at 8:00 p.m. and took a bus to get to Cubao. 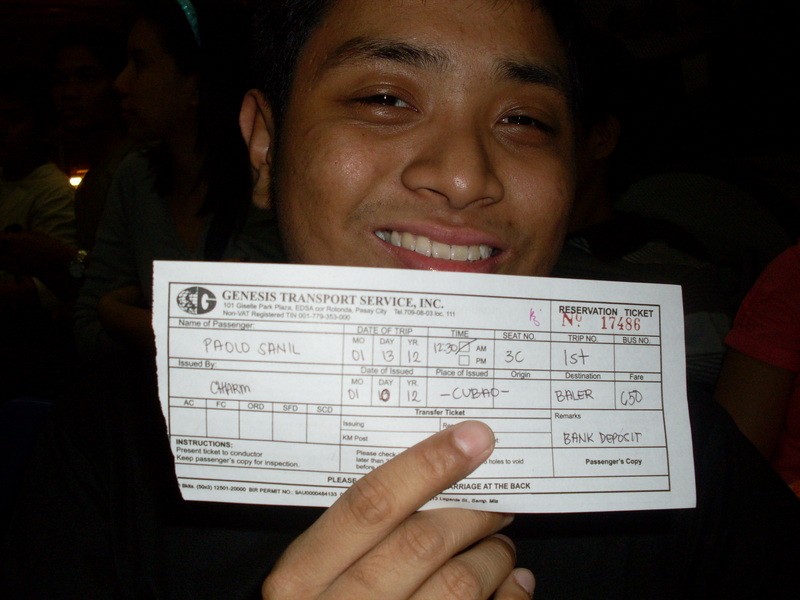 Bus ticket is PHP 26 (USD 0.52). At the Genesis Terminal we had four hours to kill before departure time, which made me regret not bringing a book to read. Two days before, we reserved our tickets by calling the Genesis hotline and payments were made through bank deposit. When Boni claimed our tickets, we had a good laugh upon seeing the errors on the spelling of some of our names. At least they got mine correctly while Athan had it worse, he became a Jona Santos. The ticketing officer who did it? Her name is Charm and whoever she is, I advise that she learn how to listen well. Also, it doesn’t hurt to ask if you’re not sure about the spelling of the names of your passengers. 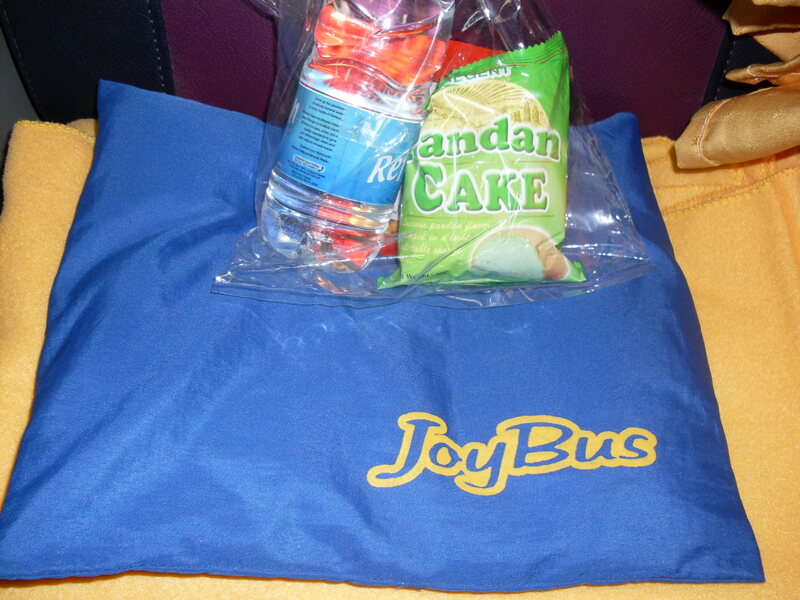 We took the Joy Bus because we didn’t want to bear long travel hours. We boarded the bus at 11:56 p.m. We were impressed. It was clean, spacious, reclining chairs with footrest and seat belts, and its own restroom. It also had complimentary pillows, blankets, and snacks. There was also a stewardess who saw through the needs of the passengers, how cool was that?! Departure time was at 12:06 midnight. From our research, we learned that travel would be hard due to rough and zigzag roads. They sure weren’t kidding. I swear I was awake the whole trip, completely aware of every turn and movement of the bus. It didn’t help that it was so cold, in a hypothermia-inducing kind of way. The blanket did little to warm me, which made me wish I had socks on. 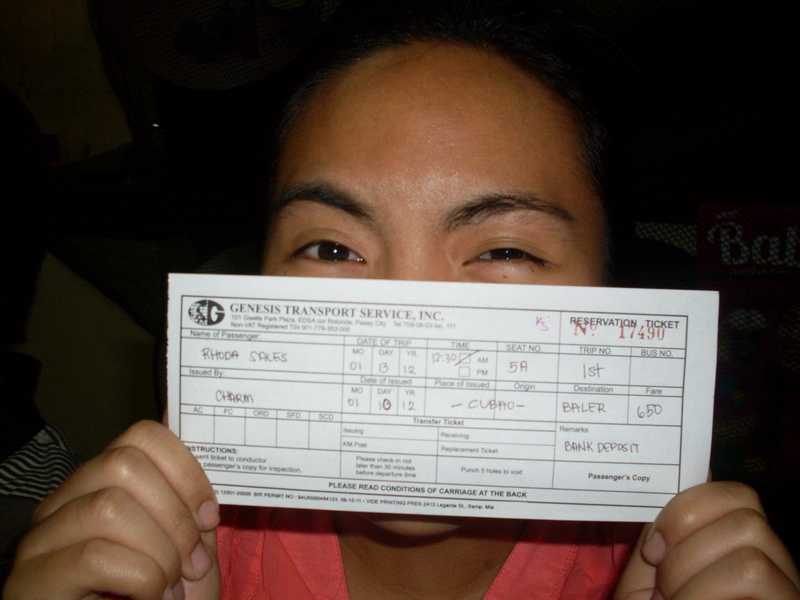 By the time we reached Baler terminal, I was so tired and sleepy I could barely open my eyes. It was 4:34 in the morning, the air was chilly and the sky was still dark. 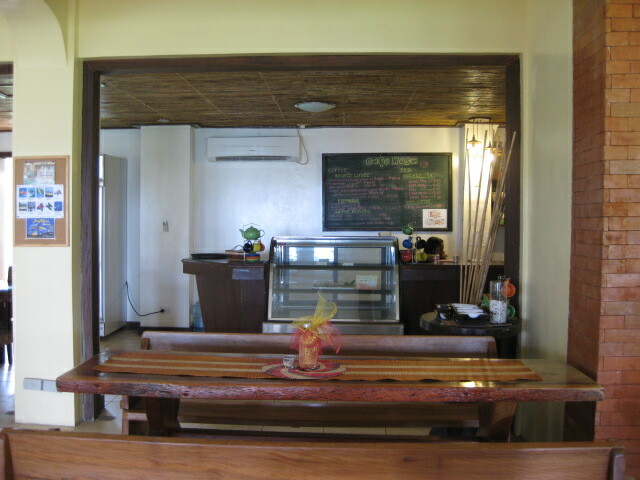 As planned, we had our breakfast in one of the rolling stores near the terminal before heading to Bahia de Baler. 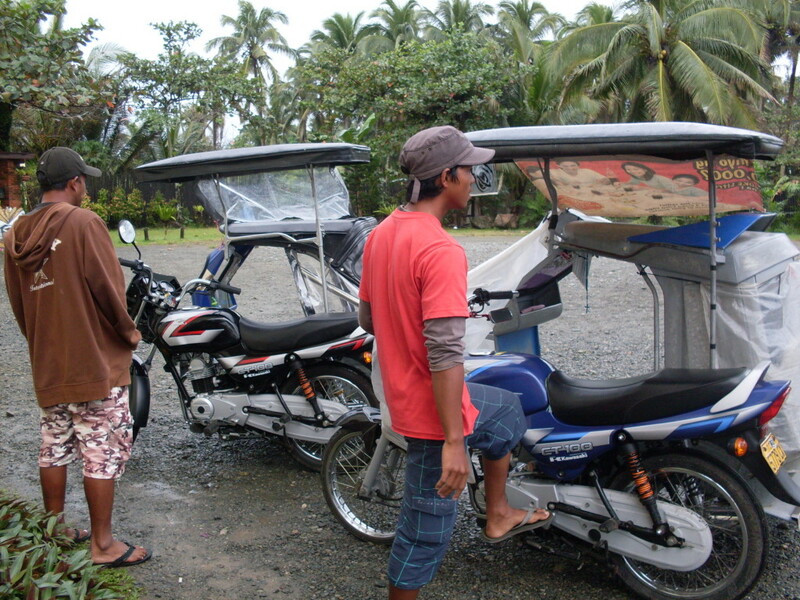 There are no jeepneys in Baler, people get around through tricycles. Since there were seven of us, we had to take two tricycles. 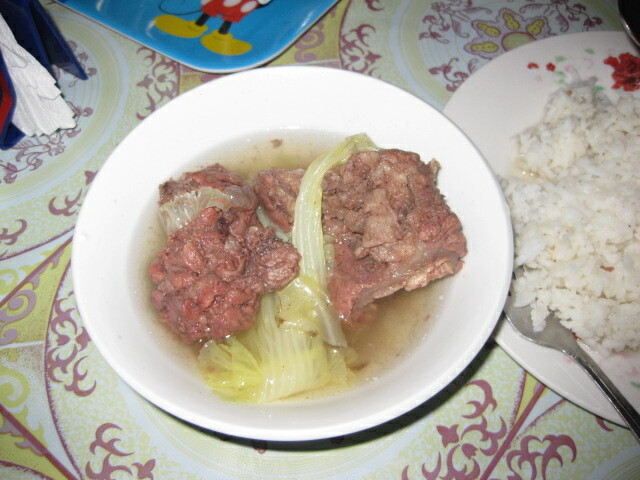 All in all we paid, PHP 140, that’s 20/pax. We later found out that we’d been duped, because it only costs PHP 13 from Baler terminal to Sabang Beach. Tsk-tsk-tsk… it does hurt to be a tourist sometimes. So if you’re going there and your destination is Sabang Beach, remember that trike fare is only PHP 13. Our tricycle tour began at 8:16AM. Our tricycle drivers/tour guides are Alnor and Ronald, both were recommended to us by our office mate, Bart. The two didn’t talk much, but they were reliable and they are no complainers, a must in my book! In summary, the trike ride was pure torture, at least as far I’m concerned. I couldn’t take pleasure in the view no thanks to the slight drizzle, the chilly air, and my body bereaved of some zzs. 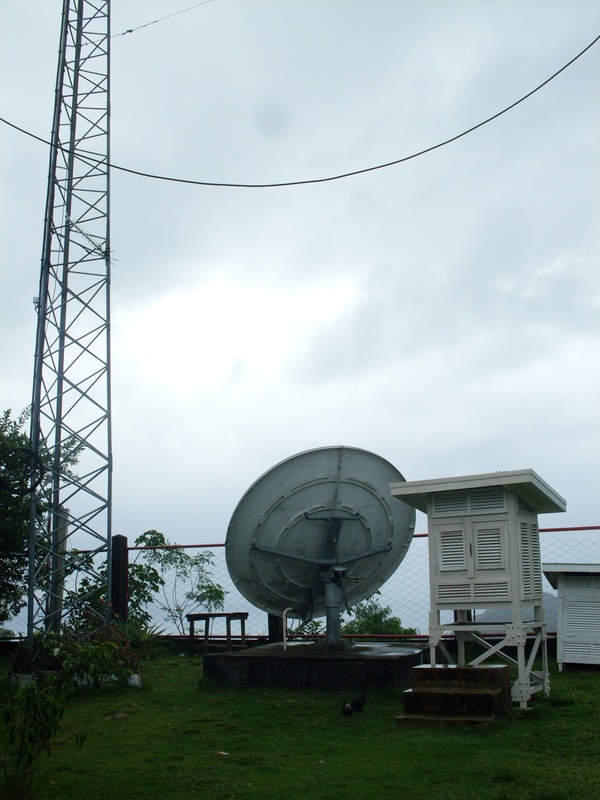 It didn’t help that the first destination in our itinerary is the Weather Radar Station (WRS) of PAGASA (Philippine Atmospheric, Geophysical and Astronomical Services Administration), which is approximately 40 minutes away from Sabang. It didn’t take long for me to realize that my misery was just beginning. PAGASA is located on top of the hill so getting there is like a challenge straight out from Survivor. Okay, that’s a bit of an exaggeration, nonetheless I was quite distressed and ill-prepared. I was always behind the group, panting and wheezing like my asthmatic cousin, and cursing Gerald for even considering to include WRS in the freaking itinerary. As I was about to complete concocting murderous plots against Gerald, we finally reached the top. There’s the PAGASA building, solar panels, and satellite dish. The PAGASA personnel looked anything but surprised when they saw us. Obviously, they’re used to tourists visiting their place. They had us sign our names in a log book and allowed us to indulge in taking pictures. We also had a little bit of weather forecasting 101. 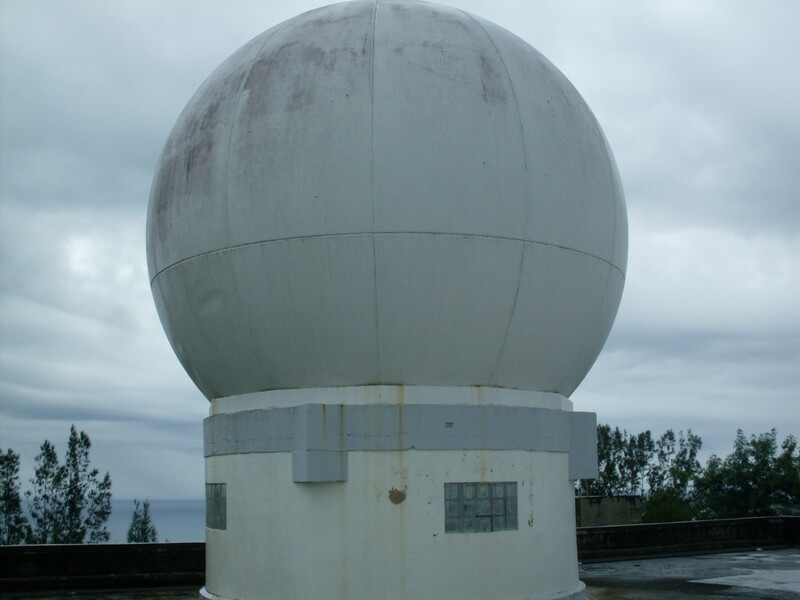 They use a Doppler radar to measure the amount of rain a cloud formation may bring in a certain area. It helps them predict the weather and once they get the information they send it to the main office for the weather forecast. The PAGASA guy (sorry wasn’t able to get his name) was gracious enough to turn off the machine so we could go upstairs and see the radar for ourselves. The radar has radiation, and we don’t want to leave the place as mutants you know. So we went upstairs and see this humongous round thing. Not only did we get to see the Doppler radar, we were also treated with a spectacular view of the mountains, the sea, and the coastline. 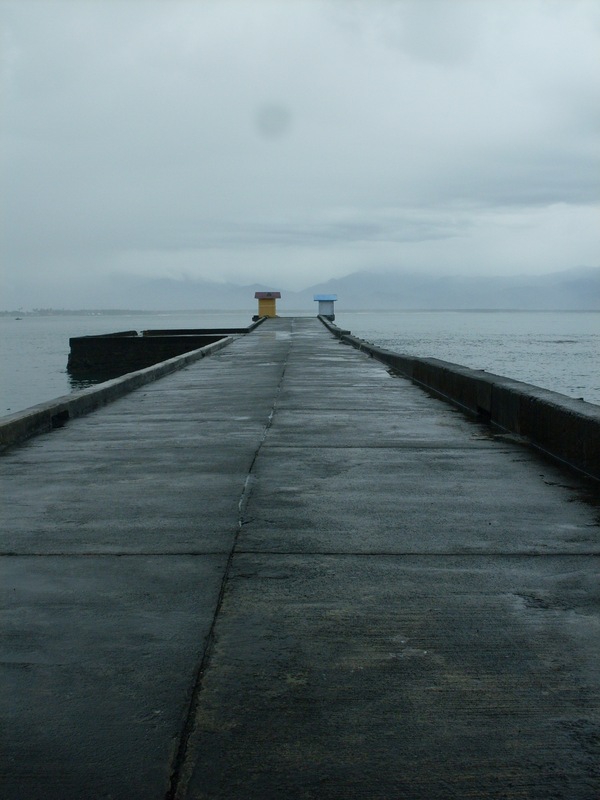 There wasn’t much to see in the fish port but we pulled over and took some pictures anyway. The difference with the pier in Manila? It’s clean, even the water, and it wasn’t busy or teeming with people, it was so serene. 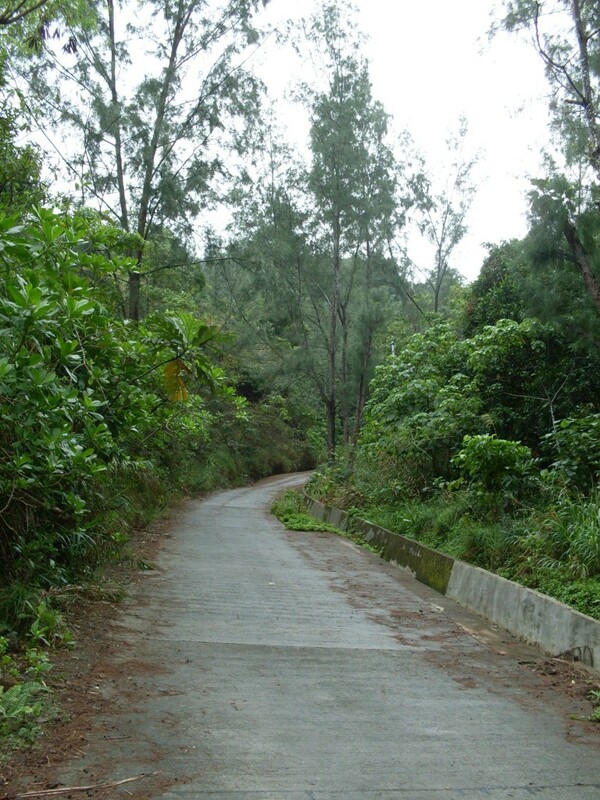 Ermita Hill can be found in Casiguran, Aurora. 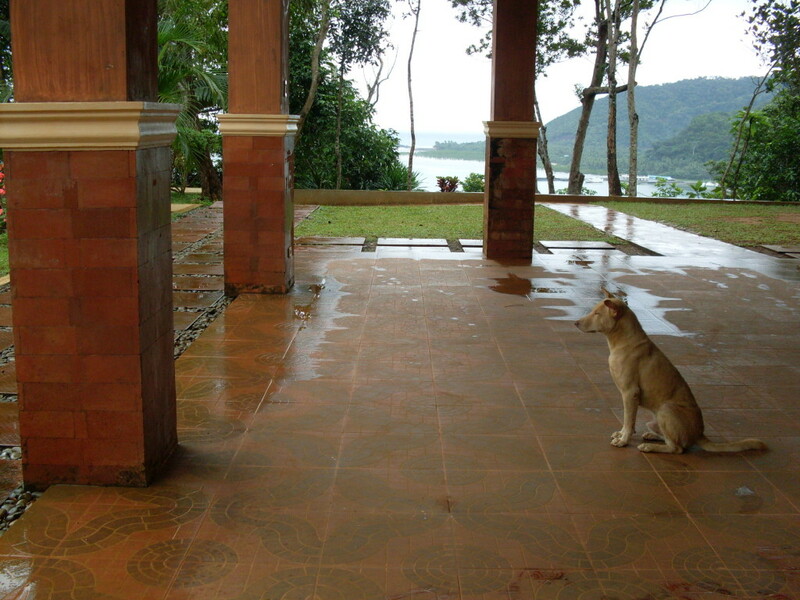 It is famous for the memorial of the seven families who survived the tsunami in 1735. We didn’t get to take photos of the replica much to our regret and by the time we reached the place we were already starving so we passed up the chance to get to the grotto of the Miraculous Mother Mary. We just satisfied ourselves taking pictures in the park. 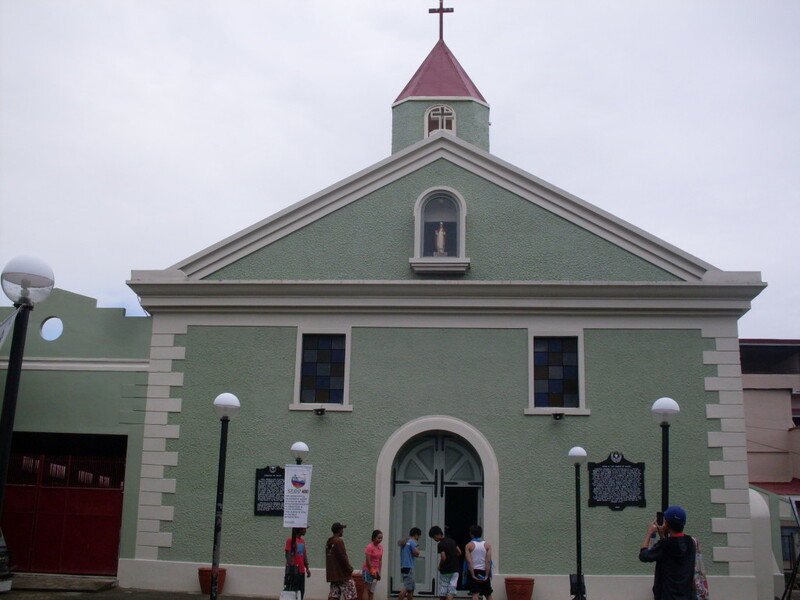 After our lunch, we went on foot to the famous site of the historical Siege of Baler, the Baler Church. We chanced upon it dark and undisturbed, but still opened so we were able to get inside. Across the church is the old house of the former first lady, the late Aurora Quezon. 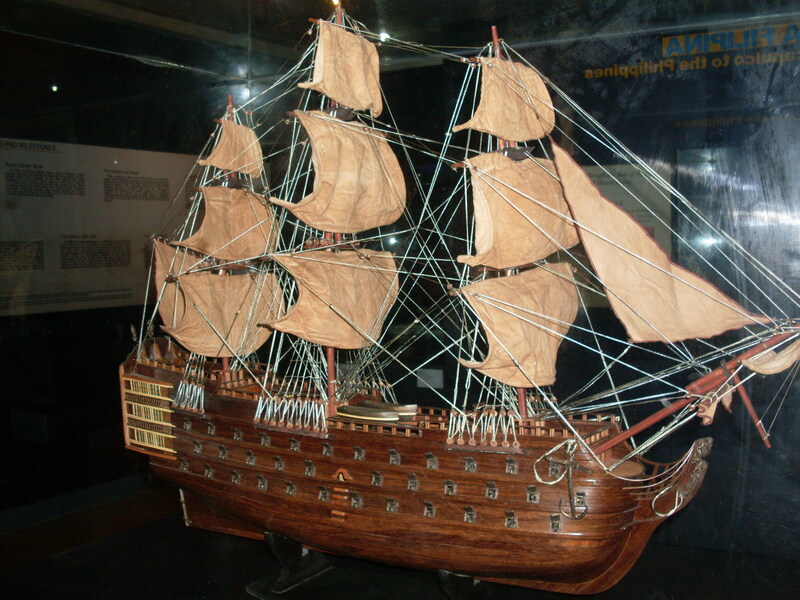 It is now being kept as a museum, open to the public. 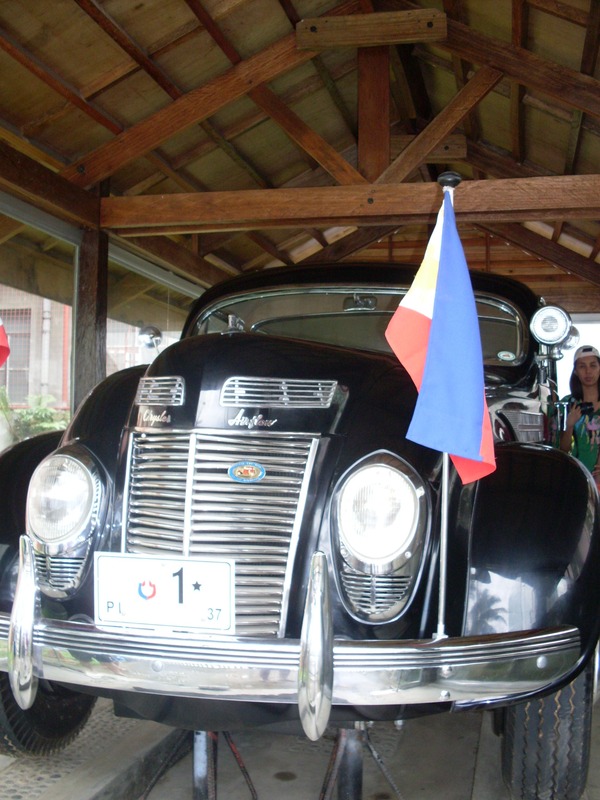 It houses a collection of paintings, an old drum set, native house decors, Filipiniana terno, and the presidential car of former President Manuel L. Quezon. 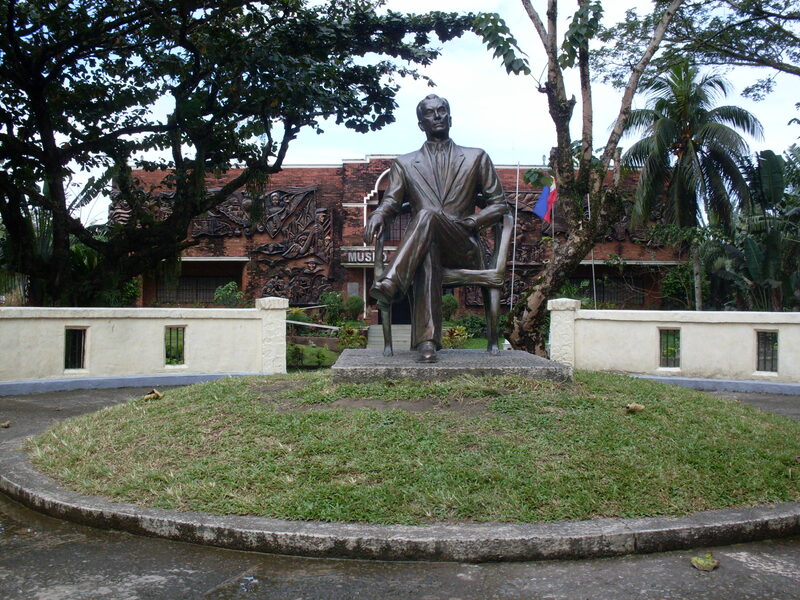 Still on foot, we headed our way to Quezon Memorial Park where you can find a sitting statue of President Quezon. By the way, I share the same birth date as President Quezon, August 19, just saying. 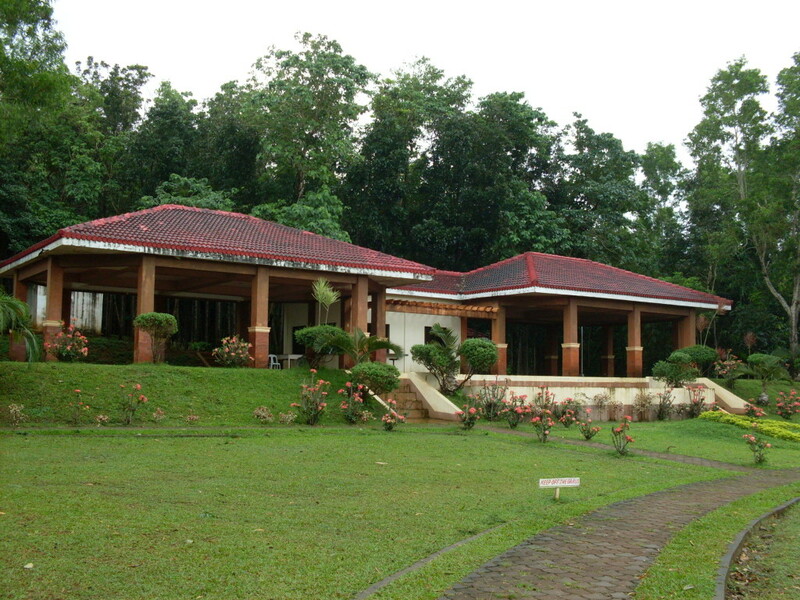 Behind the park is Museo de Baler. 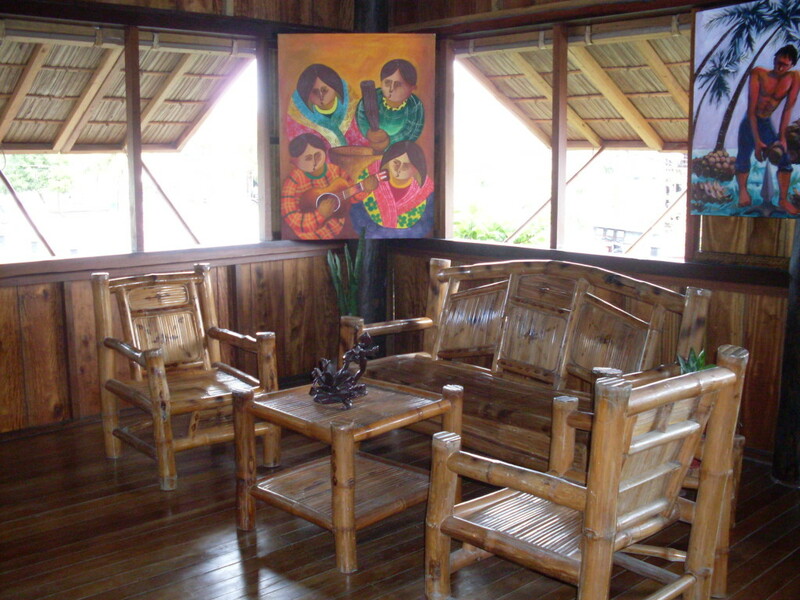 The building is festooned with historical murals created by Balerian sculptor, Toym Imao. We almost missed an opportunity to check it out because it has been closed during lunch hour. By the time we got back, an old woman was already getting back from her break to re-open the museum. Good thing about this museum? It’s okay to take pictures (no videos though), which in my opinion is how every museum in the Philippines should be. 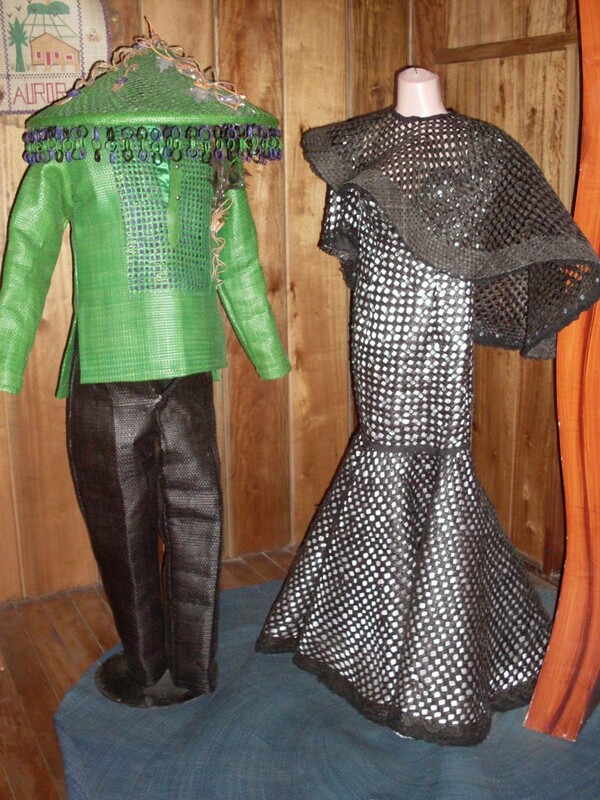 Inside you get to see paintings, old traditional clothes, relics, fossils, old photographs, display of preserved insects and animals that are native in Baler, miniature models of the province, among others. 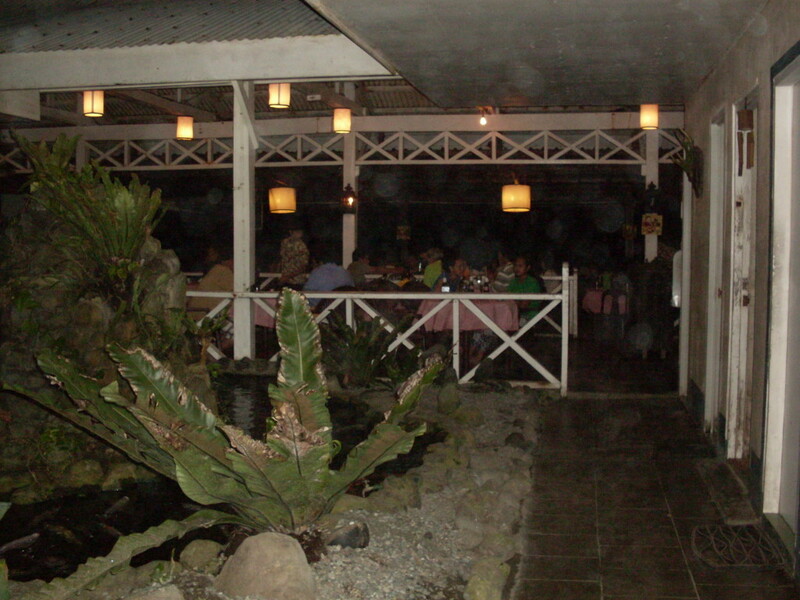 One of the places you should never miss when you go to Aurora province is the town of Maria Aurora. 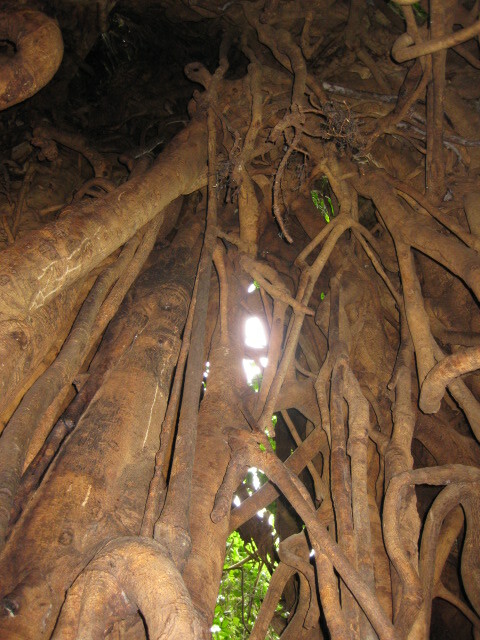 This is where you will find the humongous Balete tree dubbed as the “Millennium Tree.” This tree is over 600 years old and it is so gigantic, you can even go inside and take souvenir pictures! 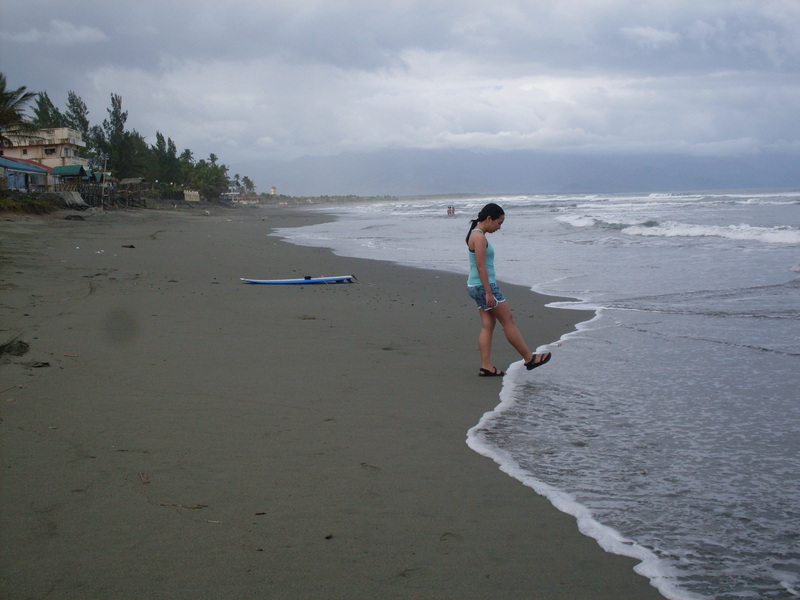 Among the beaches that we’d seen in Baler, Digisit has got to be the most beautiful. It has clear waters, big rock formations, white sand bedecked with stones and broken corals, and the absence of pesky people. It’s a rugged beauty, unharmed by commercialization. 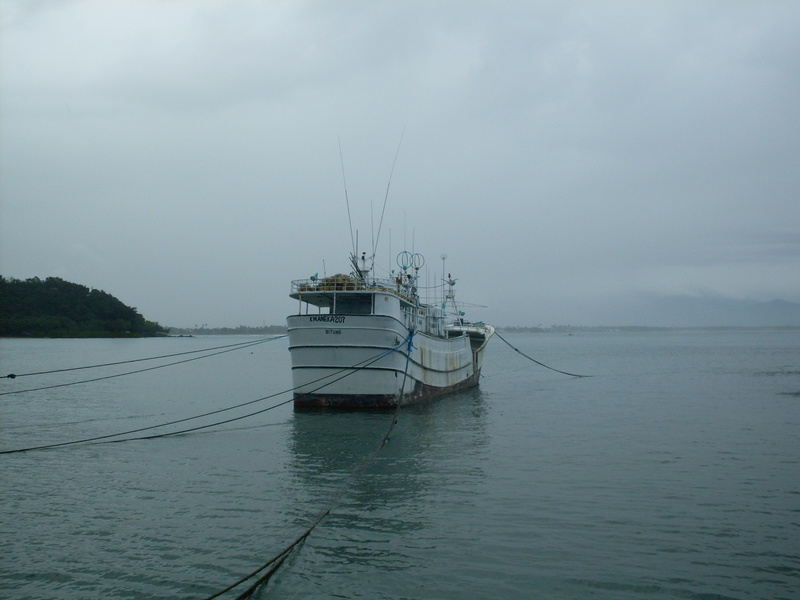 They say that the place is ideal for diving and snorkeling. Wanna go on a quick swim? There are a few small cottages in the area where you can leave your belongings. I would have taken a swim if it weren’t for the fact that we still had to visit more places. 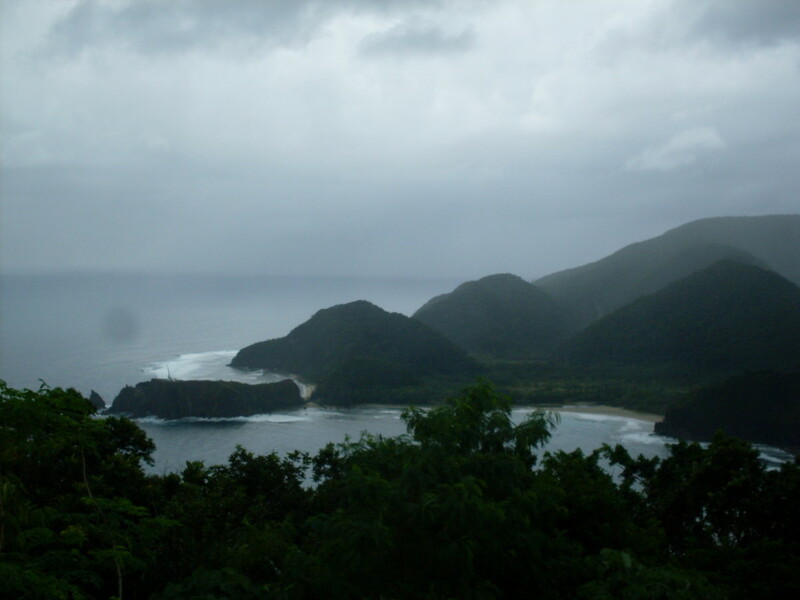 The waves in Sabang beach are strong, hence it is an ideal place to go surf. Here, the sand is noticeably dark but fine. Because of the waves, swimming was almost next to impossible. In fact, we were laughing the whole time when we were in the water because the waves kept shoving us back to the shore. 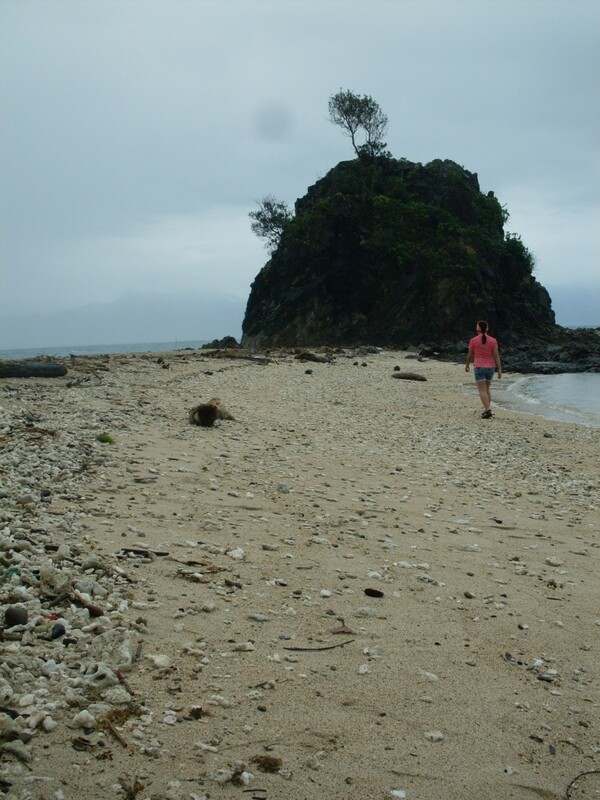 Another beach we went to for sight-seeing purposes is Ampere Beach in Dipaculao. What’s so special about it? 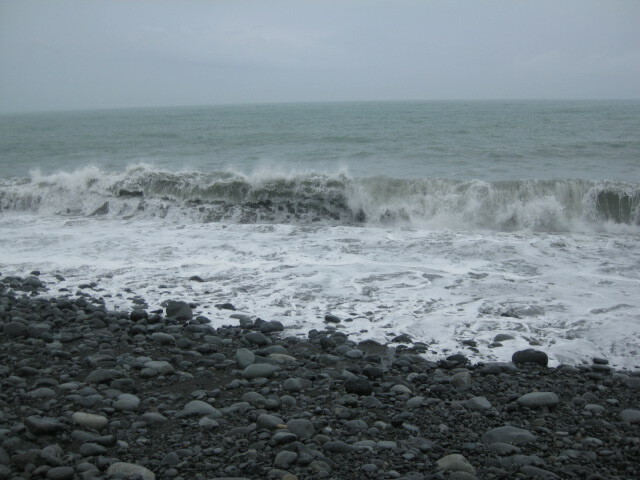 It has a great view of tumultuous waves from the Pacific Ocean and the seashore is covered with big and dark rocks (panghilod anyone?). It is also home to Ocotan Cave, which we weren’t able to see due to high tide. Out of all the places we’d been to, it has got to be the one that is most memorable for Pao. Why? He somehow got his toe hurt by those rocks, which totally ruined his surfing plans. 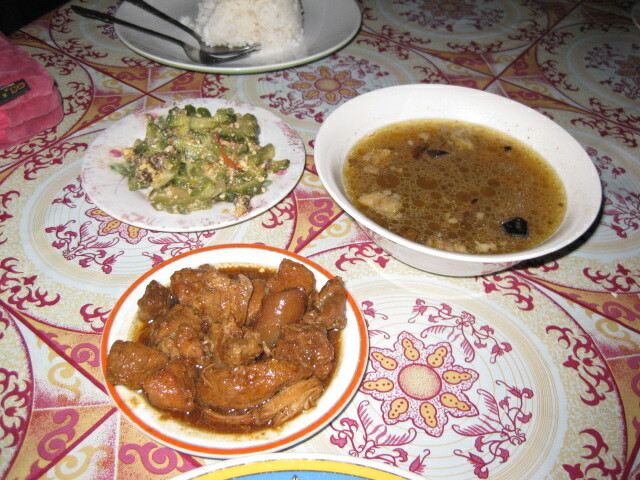 During our trip, we were able to eat in both restaurants and small eateries. 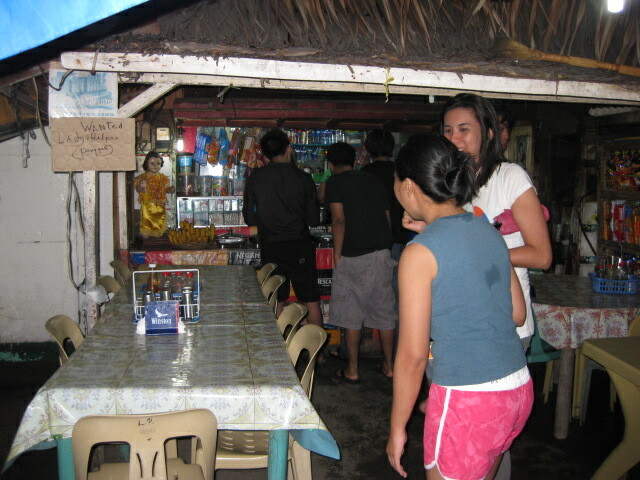 In Baler, they also have some rolling stores, some can be found near the bus terminal. 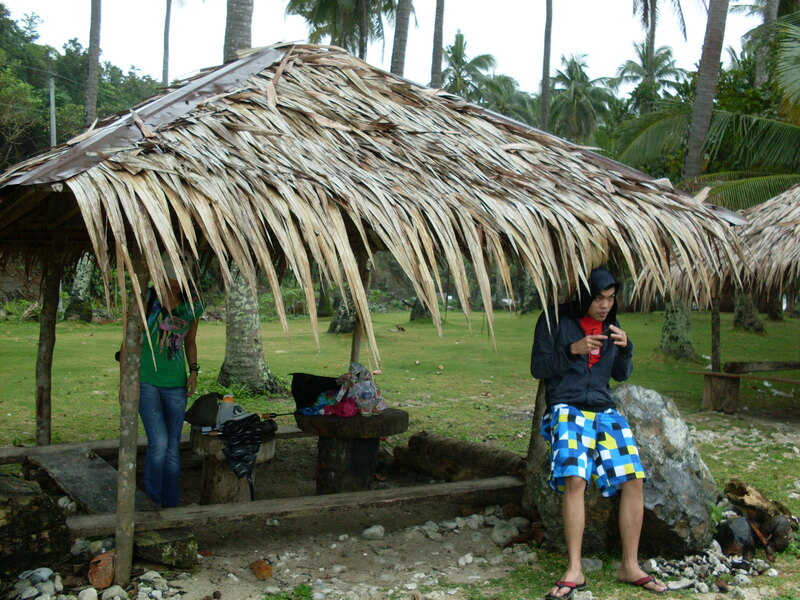 This is where we had our lunch on our first day in Baler. 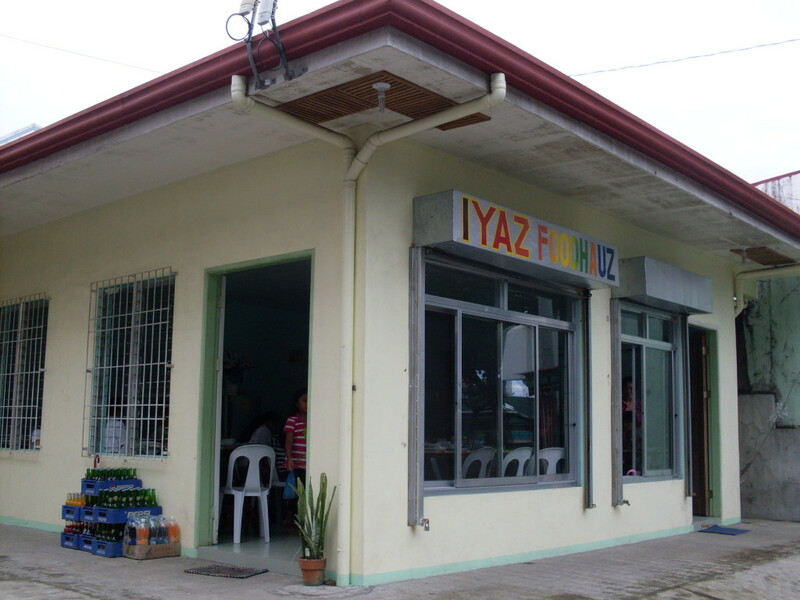 I led our group to the first restaurant that I saw, the Iyaz Food Hauz (look at the picture below as proof that I didn’t mess with the spelling). 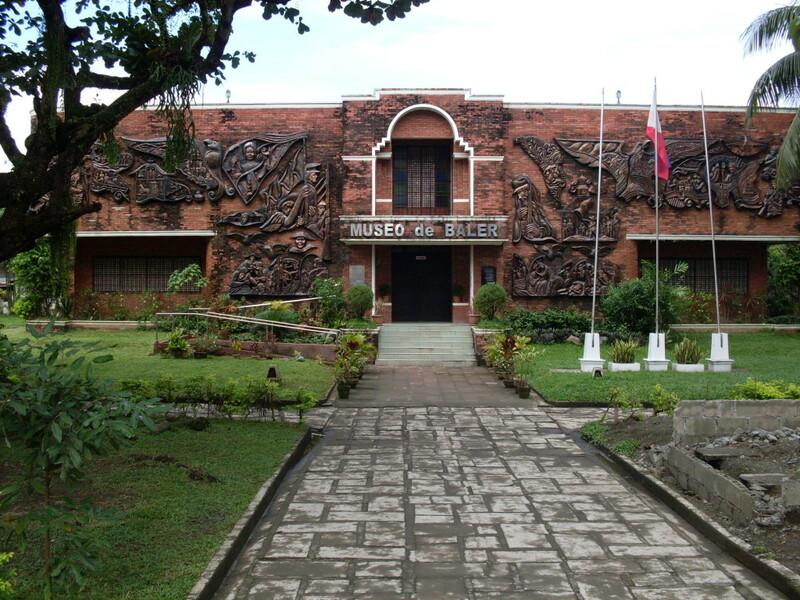 It sits right across Museo De Baler. I’m not entirely sure if it’s due to hunger, but I swear the food was superb. I ate so much, I think I gained back all the calories that I burned during our hike to PAGASA. For us Filipinos, no trips would be completed unless we go shopping for pasalubong and this is what we did on our last day in Baler. We went to the Baler Pasalubong Center, which sits right across the bus terminal (talking about convenience). It was not as big as I thought it’d be, in fact, there were only four stores inside the building. There you can get bags, fans, hats, t-shirts, peanut butter, keychains, etc. 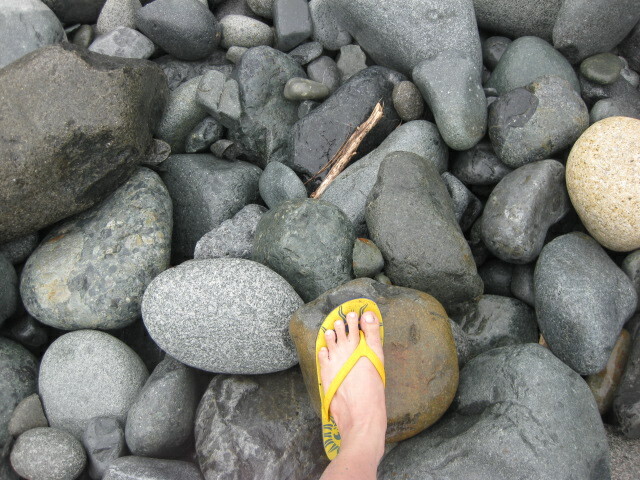 Of course, this Baler trip wouldn’t be complete without going to an adventure. 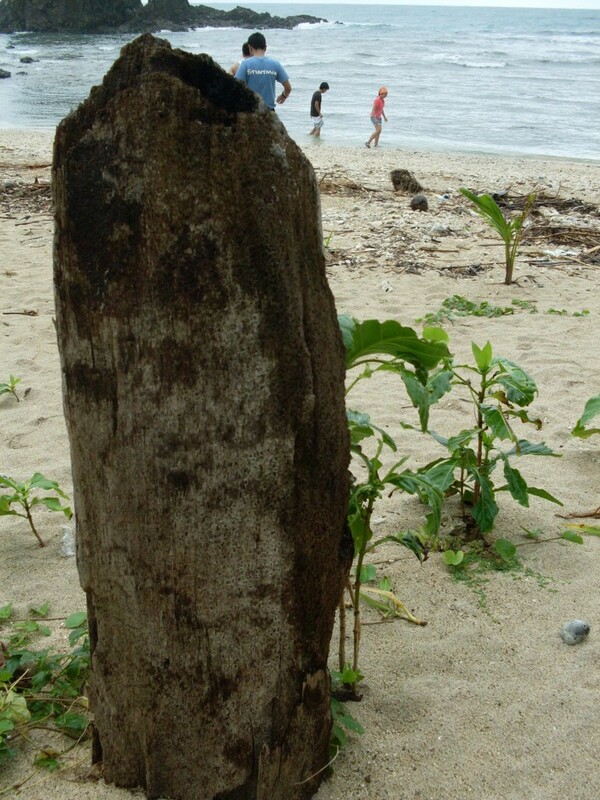 Next time I will tell you about our surfing experience and the trek to Ditumabo Falls. Awww, it all sound as though you planned it all to the tiniest detail =) I've heard of those executive buses, they're kind to your pocket and the clean blanket & snacks are a good touch.